This is our family blog for our favorite online kid safe game: Pirate 101. The first thing to know about our blog is that we’re not professional game reviewers or reporters. We’re a common everyday family who likes to play together and share what we’ve learned with other players. So here’s our view of Pirate101 from an average set of players. Pirate101 is a multi-player adventure game and fun for kids and adults of all ages. The game is provided by KingsIsle Entertainment who has received a huge number of accolades and awards from industry reviewers, teachers and parents for their first multi-player game, Wizard101. Pirate101 has already received accolades from Beta players, and the early reviews have been wonderful! The Pirate101 website provides information for Parents, parental controls, safety tips pricing outlines and more. Visit the Parents area for more information. You can even try the game yourself online before putting too much effort into downloads and set up. Because these games are designed to encourage social activity and interaction among the players, it’s a great form of entertainment for families. My son and I love playing together on Wizard101, battling monsters, achieving goals and sharing time together. If you’re familiar with the World of Warcraft, this game is similar, but with a little more help for kids and certainly ‘G’ rated. Like WoW, there is a game program to download and install on your pc. You can play the game on dial up, but you do have to be patient! We live in the country and dial up was the only service we had available for many years. But we liked it so much, we put up with slow connection speed. Thankfully we had the local library for big updates. If you have DSL, you should have no problem downloading, installing and playing the games. Once the game has been installed, it performs updates and patches each time you log in. For the most part these updates go quickly, completing in 1 or 2 minutes. But when a new world is added and accessed by your character, the new download can take several minutes. On a high speed connection I believe the longest we’ve waited for a new world download to complete is about 15minutes. The game provides a series of quests that must be fulfilled in order to advance to the next level, enter the next World and attain the next reward. Monsters in the game vary from world to world, but each are benign and there is no blood or guts to be concerned with. As a Mom I love this game because of the many things it has taught my son. He began playing when he was 6 and he’s 9 now. The game helped him with reading and gave him a great interest in reading stories outside the game. The dialog of game characters is displayed on the screen and kids can read along as the character recites the dialog. It teaches kids focus and concentration. The game gives players multiple quests simultaneously and it’s important to remember which items are needed for which quests, where to go and what you need to do to succeed. It teaches kids strategy. During battles with the monsters, players choose the weapons (in the form of spells) needed to defeat their opponents. Many times players must plan their moves in advanced and in stages; carefully choosing which cards to play and which order will provide the biggest ‘hit’. Players receive rewards and find treasure throughout the game. Kids must learn how to save their gold/money in order to buy items at the local shops. It teaches them budgeting, saving and simple arithmetic. During the game, players can use quest help for much of their session. But there are items that must be found that come with no help. Because of this, kids learn to read maps. Each world and most sections within a world have their own maps that can be accessed anytime a player is not in a battle. Kids can learn about cardinal direction, recognizing their location and where they need to get to, planning their route and making their way to the object needed to complete the quest. In addition to the academic benefits, the game also provides some creative learning as well. From the beginning of character creation, players create the look of their wizard. One of the rewards from battling monsters are cloths that can be worn in the form of hats, cloths and boots. There is also a dye shop in the central town where players can color their cloths to mix and match designing their character to their own specifications and likes. Players can also decorate their own home, starting with a student dorm room and moving up to varying size castles. The game allows kids to win or purchase items for their home, decorate both inside and outside and create their own uniquely personal living space for their character. One of the events that thrilled my son the most when he started playing Wizard101, occurred when his character was able to purchase his first pet. A fire cat that he named King Fluffy. Through out the game players can purchase new pets that provide advanced skills. Some pets are also rewarded after certain battles or when characters reach a certain level within the game. It doesn’t really matter how old you are, getting that favored pet is fun and exciting. We can’t wait to see the pets in Pirate101. Now the down side. The game is free….to a point. 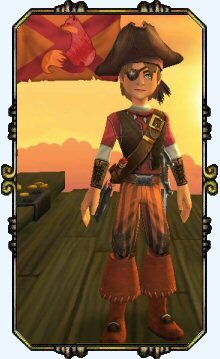 I’m going to assume that Pirate101 is designed very similar to Wizard101 because accounts cross over from game to the other. In Wizard101, your wizard can enter the first few areas of the game for free, but once you reach level 10, areas become restricted for subscription only players. There are areas that can be accessed through Pay As You Go subscriptions. You can learn about the Zone Pricing on Wizard101. Subscriptions can be purchased on a monthly membership, or for an annual subscription. The monthly membership provides a small discount compared to the annual subscription. But keep in mind, if you want to play WITH your child, you will need two subscriptions to play. Two wizards from a single account cannot be logged in at the same time. So family play requires two accounts or more if your family is larger and more members want to play too. Which can get expensive! Additionally, some items can only be purchased with crowns, which initially come with your membership subscription and then can be purchased (for real money) as you go. It can get expensive if you get to addicted. So be forewarned. 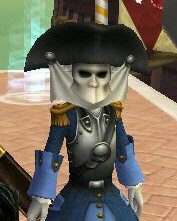 In the long run I love Wizard101 and look forward to Pirate101. For what it has provided my son in learning and for us in the form of family time, it has been well worth the expense for us. It’s been perfect for those cold snowy days, or the rainy days when we’re stuck inside. I do recommend it for those who are looking for safe kid friendly games!